Israeli Prime Minister Benjamin Netanyahu will travel to India on February 11 on a day-long visit during which he will hold talks with Prime Minister Narendra Modi, his second visit to New Delhi in just over a year. 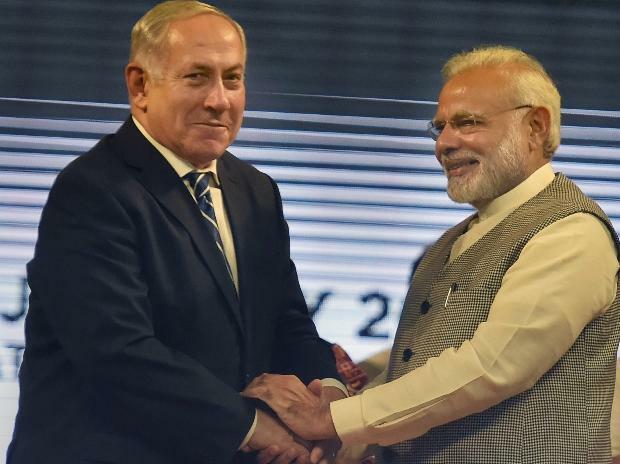 Netanyahu visited India in January 2018 while Prime Minister Modi travelled to Tel Aviv in 2017, becoming the first Indian Prime Minister to tour the Jewish state. "Prime Minister Netanyahu will be in India only for a day on February 11 and a meeting with Prime Minister Narendra Modi has been confirmed. Other details are being worked out," informed sources told PTI. Both the leaders spoke over the phone earlier this month when Israel's National Security Adviser Meir Ben-Shabbath visited New Delhi. Ben-Shabbat also met National Security Adviser Ajit Doval. The Israeli prime minister is said to have expressed his desire to visit India again to which Modi is said to have consented, sources said. His visit comes just ahead of the Knesset (parliament) elections on April 9. Netanyahu, who hopes for a fourth straight electoral victory, has taken up many trip abroad recently to strengthen Israel's standing in the international community, something that his supporters have been using to project him as the only leader who can drum up support for Israel. Israel has recently seen major diplomatic breakthroughs with Netanyahu visiting Oman, a country that doesn't have diplomatic ties with Israel, and Chad, an overwhelming Muslim country, restarting diplomatic engagement with the Jewish state. The Israeli leader seems to be trying to convince his people that his country is not isolated in the global community and many more nations would be working with Tel Aviv, irrespective of a breakthrough on the deadlocked peace process with Palestinians.